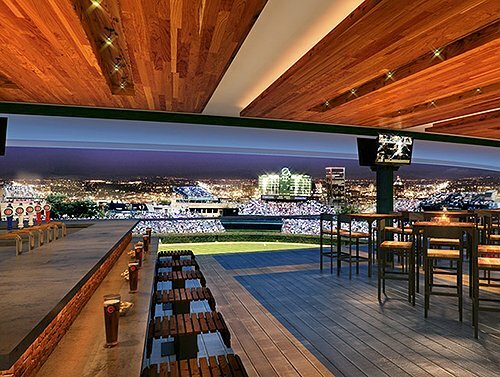 may block views from rooftops, a point of contention between the rooftop owners and the Cubs. 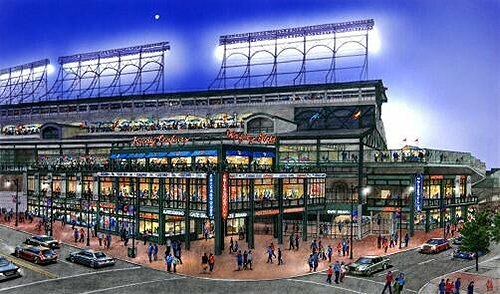 A rendering of what the upper part of the Cubs' clubhouse could look like. 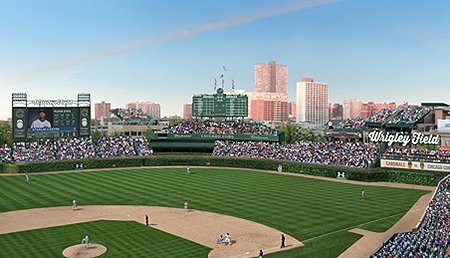 A wide shot of how the ballpark may look after renovations. 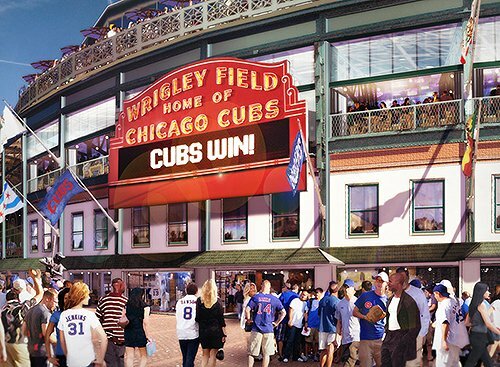 A rendering of what the Cubs' lower part of the clubhouse might look like. 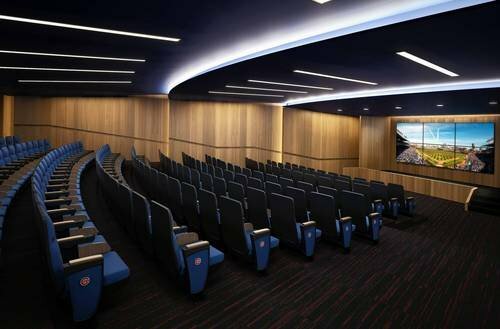 An auditorium that could be built underground behind home plate. 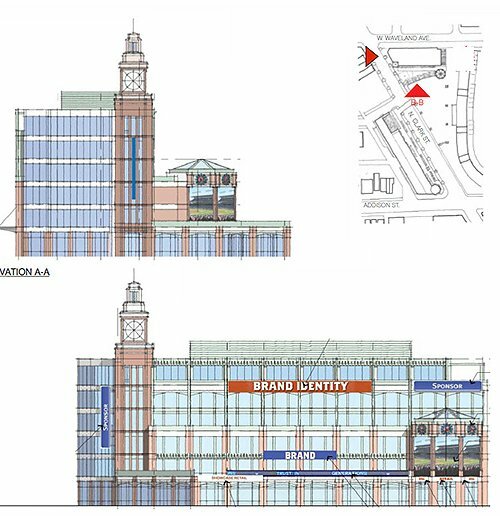 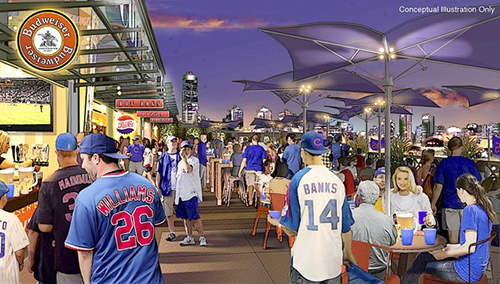 Here are some of the older renderings from the Cubs' plans. 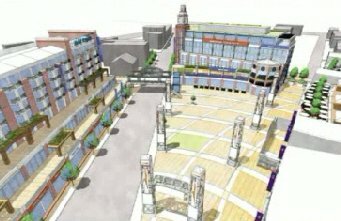 Compare them with the newer renovations. 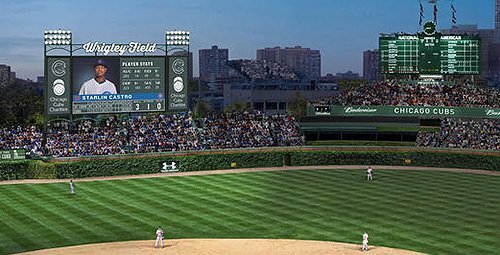 An artist's rendering of what the new left-field videoboard could look like. 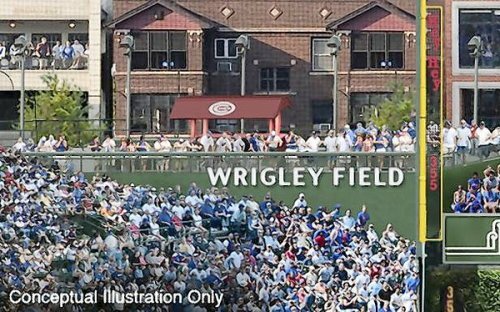 The left-field Jumbotron and right-field signage. 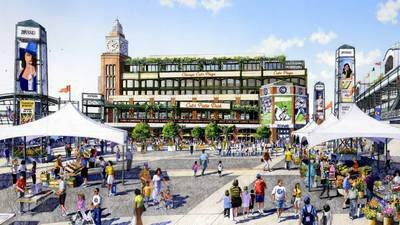 What the front of the ballpark could look like. 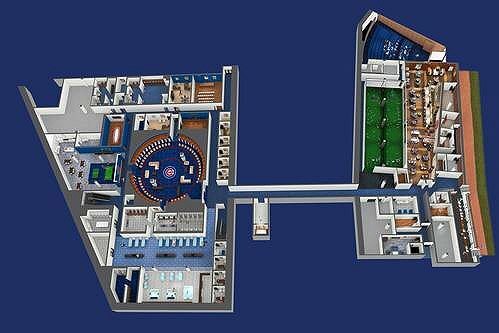 A rendering of what the new Cubs clubhouse could look like. 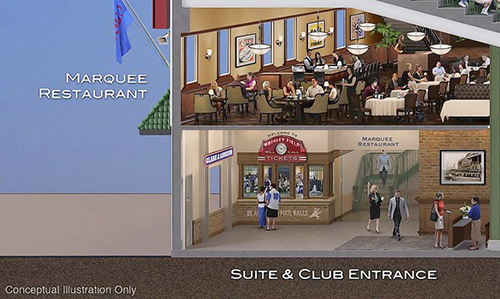 The clubhouse, batting tunnels and remodeled dugout along the third-base line. 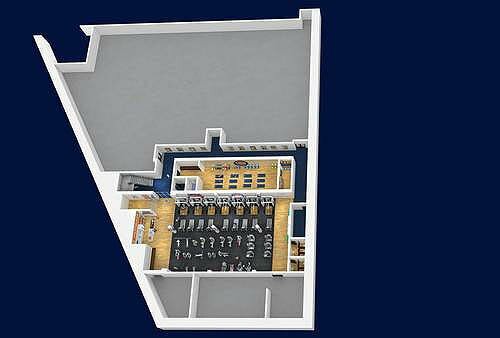 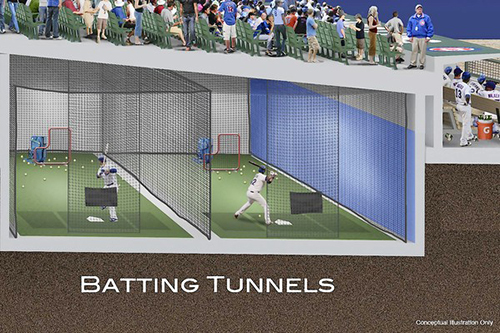 The proposed batting tunnels between the dugout and clubhouse. 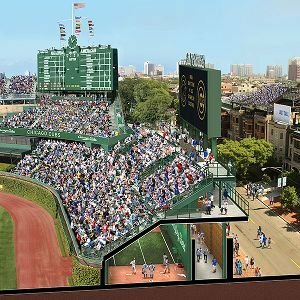 Proposed left-field fan deck rendering. 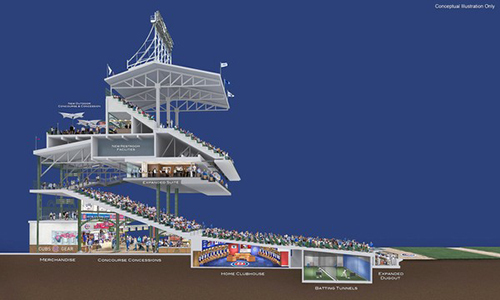 It's similar to the current one in right-field. 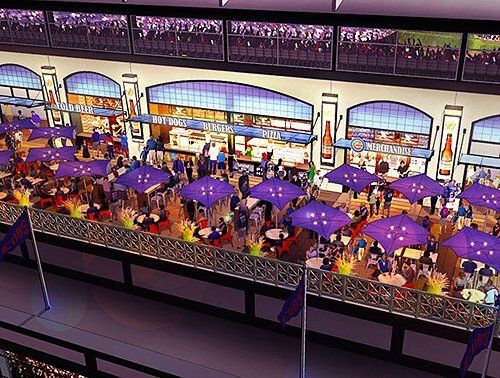 Upper grandstands fan concessions rendering. 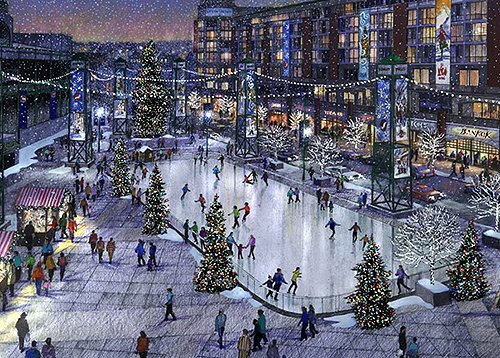 The building at Waveland and Clark, often referred to as the "triangle building"
Plaza ice rink at night. 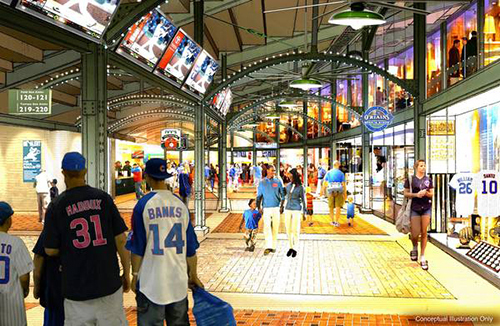 The proposed Wrigleygate area outside the ballpark.